Pesto's are a great addition to a detox diet, packed full of nutrients that support Phase 2 liver detoxification and simple to prepare. Add a dollop to cooked meats/fish/soup etc. Combine all ingredients in food processor and process to your preferred consistency. 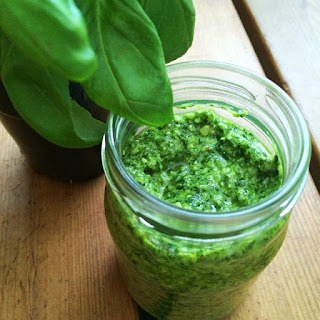 Replace basil with mixed greens such as rocket, parsley, coriander or baby spinach. Replace all or some of the pine nuts with macadamias, almonds or cashews.